The bereaved son of a 60-year-old Rugby woman who died on Sunday has paid tribute to her kindness as he launches a fundraiser for her funeral. Carer Maggie Adams, of Brownsover, was tragically killed when a car struck her while she was walking along Bilton Road - she leaves behind a family including two sons and her husband, who she was caring for. Mrs Adams' son, Paddy, set up a GoFundMe page to raise funds for his mother's funeral and has been overwhelmed by the generosity of Rugbeians who have so far contributed £2,800. Paddy said: "On the 3rd of February I received the worst news of my life. The strongest women I know had been taken away from me and my family. "It's a massive shock and we weren't prepared for it. I'm spending the day calling around for quotes and I had no idea how expensive funerals are - it's unfair how much they cost. "We want to give her the send off she truly deserves, any donations will be deeply appreciated." Paddy said the support the page has so far received "means the world to us and shows she was liked". "It's quite comforting," he added. Paddy said his mother was known and liked across Rugby, adding: "She was just the nicest person you could ever meet - she would do anything for anyone and she touched so many people's lives." Paddy's aunt, Vikki Adams said Maggie was a strong-willed and strong-minded woman. She said Paddy's younger brother Callum is severely autistic, and is struggling to understand what has happened to his mother. Click here to contribute to Maggie Adams' funeral fund. Warwickshire Police said that, following the collision, which happened at around 6.40pm on February 3 and involved a blue Nissan, a 54-year-old man from Rugby was arrested on suspicion of causing death by dangerous driving and driving while under the influence of drugs. And at 3am on Monday, January 4, the force announced that a second person had been arrested after officers identified a light coloured Audi seen near the incident. 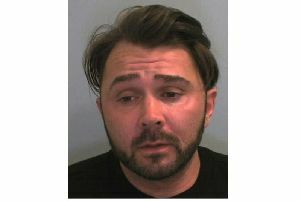 They said that a 35-year-old man from Rugby had been arrested on suspicion of causing death by dangerous driving. Detective Inspector Lisa Sears said: "We're keen to speak to anyone who witnessed the collision, saw the two vehicles in the moments before the incident or has dash cam footage from the area." Anyone who witnessed the incident or saw the cars in the moments before the collision is asked to call 101 quoting incident 325 of 3 February 2019. Alternatively, information can be provided anonymously to the independent charity Crimestoppers on 0800 555 111.